THIS HUNKY bodybuilder could be the world’s hottest vegan after he ditched animal products for a strict plant-based diet but he isn’t all muscle as he openly admits to crying over films, songs and poems since turning his lats on meat. 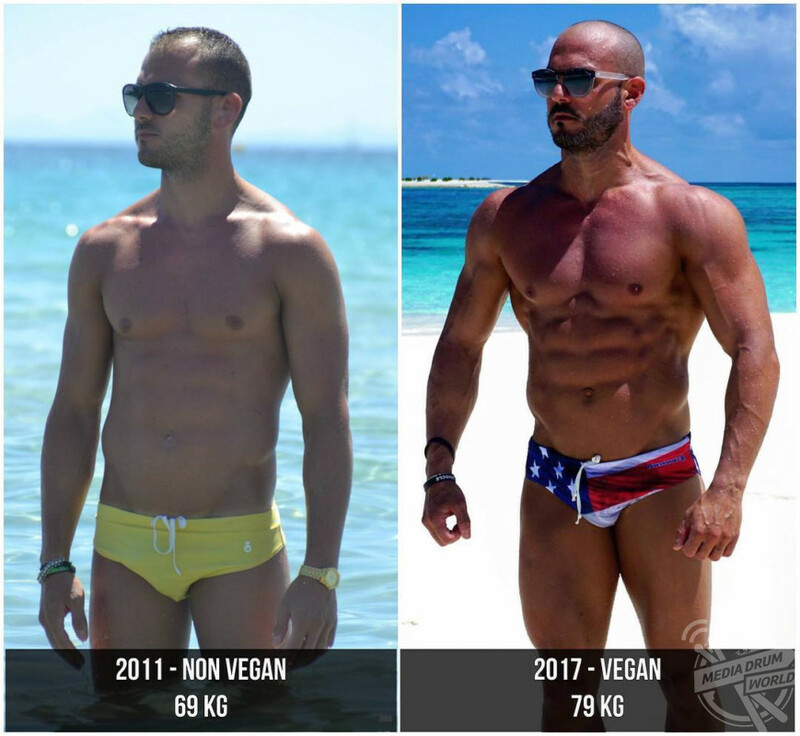 Before going vegan in 2011, bodybuilding and vegan coach, Massimo Brunaccioni (33) from Cavaria, Italy, tried to eat a well-balanced ‘healthy’ diet packed full of vegetables and white meat and fish but often found that he had low energy and would injure himself in training that meant he had to stop for days or weeks at a time. Before going vegan (left) and after (right). 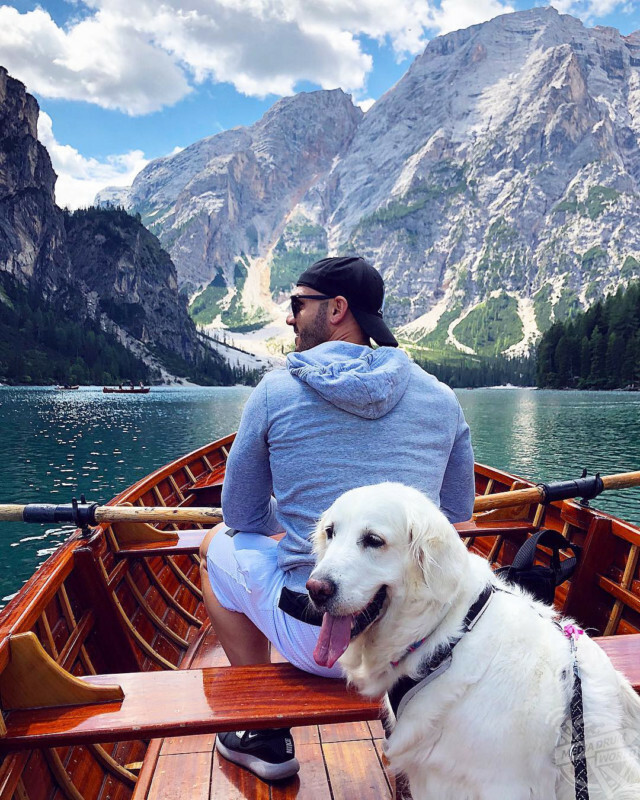 Seven years ago, Massimo, who has always been an animal lover, bought his golden retriever, Luce, and he found that every time he looked into an animal’s eyes, he saw his pet pooch and so decided to eliminate all animal products from his diet. 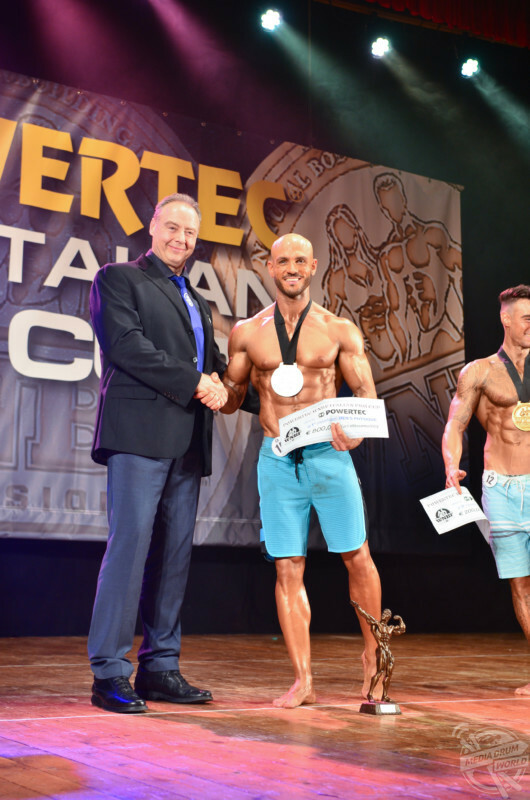 Massimo has been competing professionally in natural bodybuilding for four-years now and says that he loves his strong looking body and says that lots of people don’t believe the results he’s achieved through a vegan diet. Massimo displaying his impressive back. 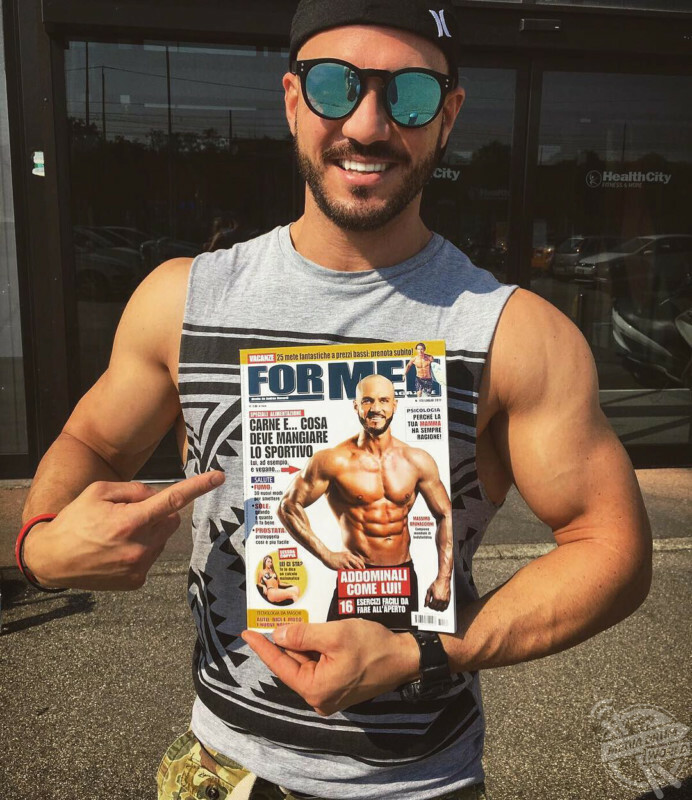 When he’s not competing, Massimo consumes 3,500-calories a day and lowers his intake to 2,200-calories when he’s got a show. 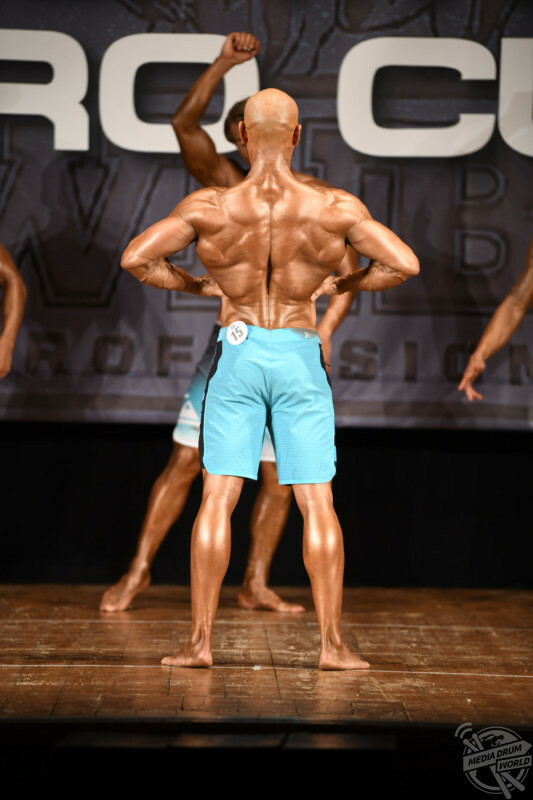 Incredibly, since going vegan, he has gone from 10st 5lb to 12st 6lb off season and 11st 9lb when he’s competing. “I’ve always been a lover of animals since childhood. At one point in my life, exactly seven years ago, from one day to the next I realised that it made no logical sense to love animals and then eat them without problems,” said Massimo. “The spark for the change came when we got Luce, my golden retriever and I began to see his eyes in all those animals that I ate without thinking about it. The eyes of Luce were the eyes of cows, calves, rabbits and lambs that were sacrificed for our desires in every part of the world. 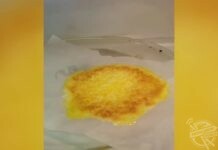 “From that moment I eliminated meat and fish forever and in a few months eggs, milk and derivatives too. Then, thanks to a documentary, Cowspiracy, I learned about the effects of intensive breeding on our planet and how the meat and animal derivatives industry is literally destroying the land we live in. Massimo with his pet pooch, Luce, who inspired him to become vegan. “And for these reasons I decided firmly and irrevocably not to feed myself food of animal origin. Massimo with his pet dog, Luce. Massimo trains six days a week and eats five times a day, typically he’ll consume oat pancakes with hazelnut and jam cream and coconut milk for breakfast, followed by a mid-morning snack of fruit, porridge and a protein shake. For lunch he has brown rice, red lentils, tempeh and vegetables and an afternoon snack of fruit, dried fruit, rye bread, jam and soy yoghurt. For dinner, Massimo dines on spelt, tofu and vegetables with seeds. Most people are in shock when they see Massimo’s naturally honed physique with many accusing him of using steroids – something Massimo denies and says he is tested for doping throughout the year, even when he’s not competing. Massimo is proud of his physique. “Many do not believe it. Many say that I built my body through an omnivorous diet and through veganism I’m just keeping it up but in reality, it is not so. Some people are so incredulous that they claim that I use steroids, but this is also false,” he said. 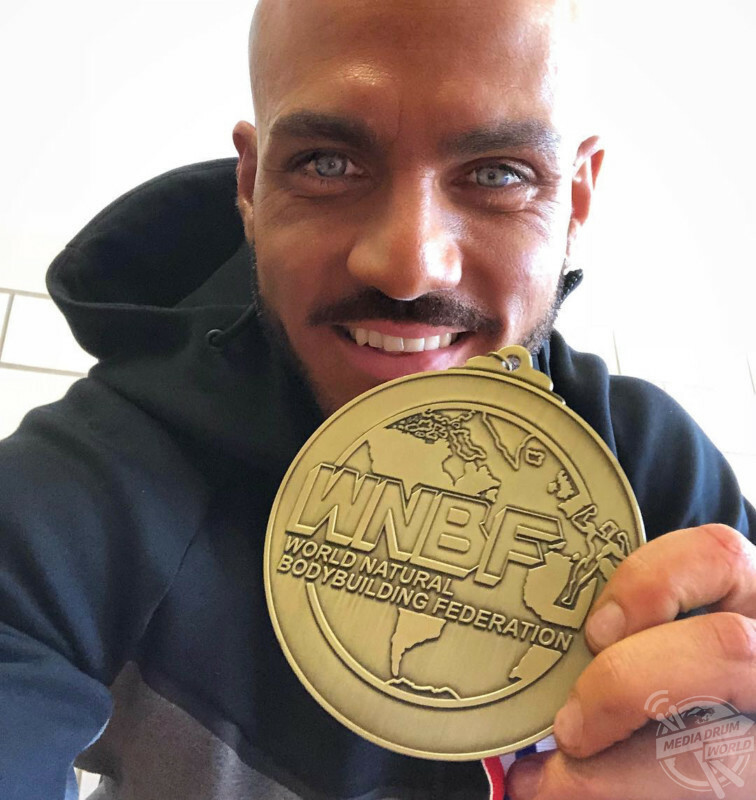 “I am a natural athlete who competes for a natural federation (WNBF) and I am subjected to anti-doping tests before each competition and sporadically during the year. 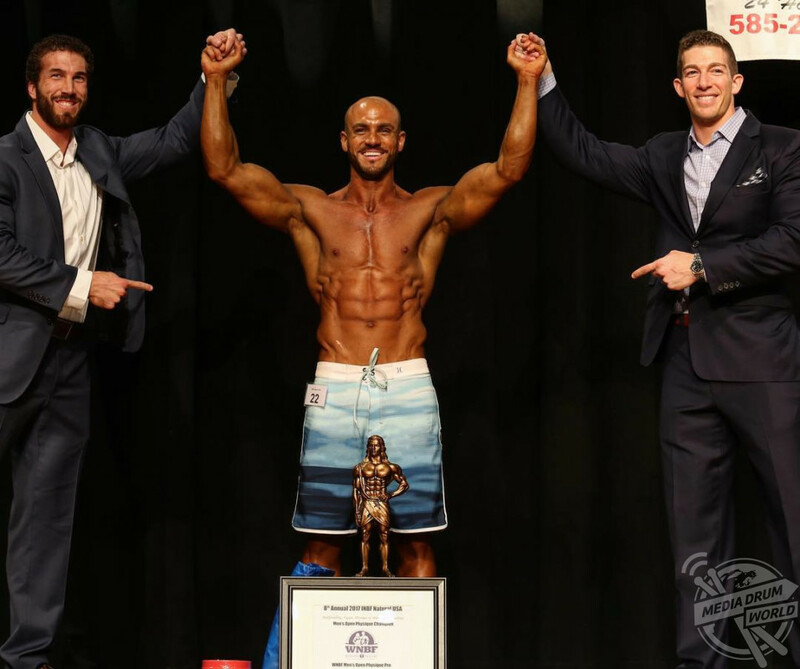 In the world of sport and in particular in bodybuilding there is the rule of ‘it has always been this way’. 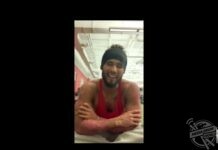 “The vegan diet goes to undermine the certainties inherent in many people and especially in sportsmen and that is that the meat is necessary to put on muscle and play sports. I often deal with ‘insiders’ like trainers and instructors and very often I’m asked where I get protein from. 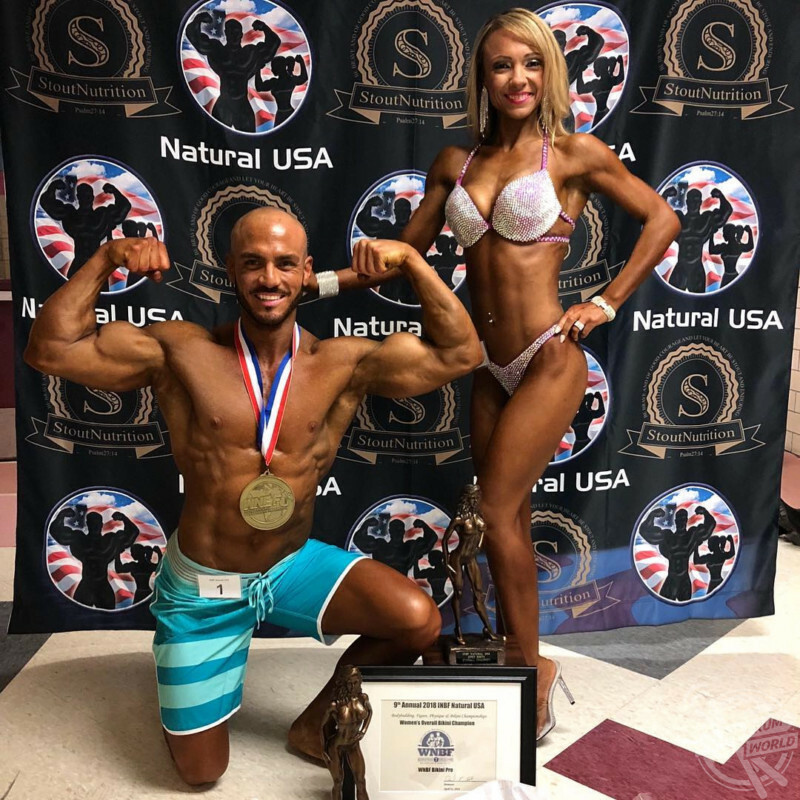 Massimo regularly competes in body building competitions all over the world and came second in the World WNBF competition in LA two years ago, and first place in the INBF Natural USA competition in April 2017 and 2018. He has just come back from the World Championships in the USA this month where he placed second in the world. 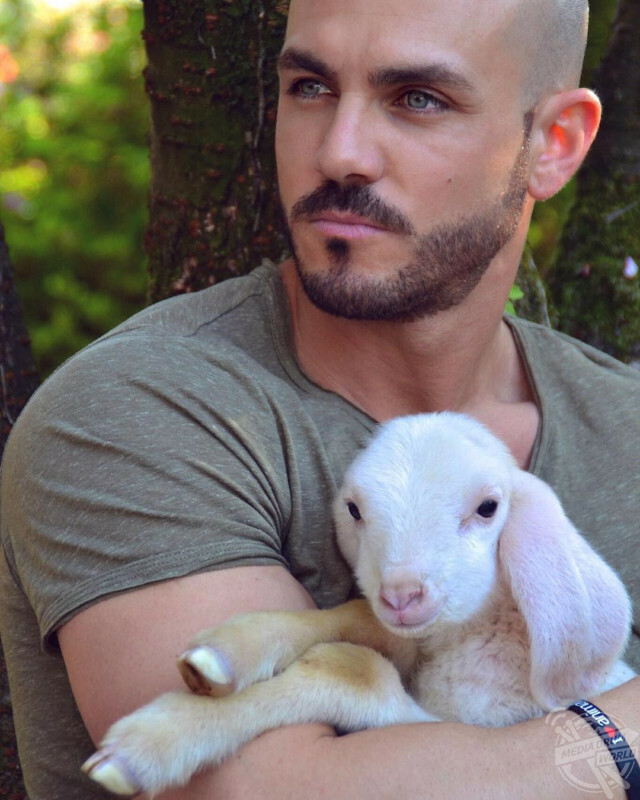 Not only has adopting a vegan lifestyle helped Massimo when he’s competing, he says it has also brought him in touch with his emotions and went into detail about the most difficult thing about his lifestyle change. “In addition to improvements in strength and energy, I feel much better even on a spiritual level. I get more excited than before and I always try to commit myself to helping other causes, such as animals or people in need,” he explained. “Also, I cry for simple things, for a film, for a song, for a poem. I never cried before. I think becoming vegan gave me more sensitivity. I can say that I feel like a better person. “The hardest thing was not knowing about food. We all know very well all types of meat and fish because we have eaten them since we were born. Massimo showing off his impressive physique. 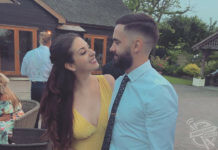 Massimo can squat an impressive 160kg, bench press 130kg and deadlift 210kg – he shared his final words of advice to anyone else wishing to pursue a vegan lifestyle. Massimo displaying his envy-inducing abs. “What I recommend to those who do not know where to start is to rely on a doctor or a nutritionist,” he said. “Vegan feeding is adequate for all people in all stages of the life cycle but must be balanced with all macro and micro nutrients. Massimo says that going vegan has made him a more sensitive human being. “You need to know how many calories to eat, where to get protein, iron, calcium, etc. Vitamin B12 and vitamin D should be monitored.